Sacramento Regional Transit is proposing a fare increase that would punish American River College students for using public transportation while taking three units or less. Currently, ARC students who take 3.1 units or more are eligible for the Universal Transit Pass, which acts as a bus and light rail pass for five months each semester. Students pay $2.10 per unit each semester toward the UTP, whether they use it or not. But students who take just one class per semester, worth three units or less, do not qualify for the UTP. Approximately two in five of these students take public transportation to school, and pay full fare per ride, or purchase a $50 monthly pass at ARC’s business services. This is already a huge increase from the max fee of $31.50 that an ARC student taking 15 units or more would pay through the UTP for five months of service, and it only covers one month of service. This means a student taking three units would pay $250 per semester to take the bus, and RT wants to increase prices even more. 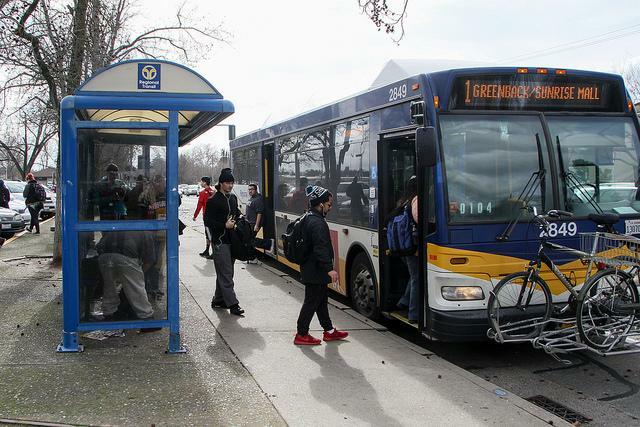 Standard one-way bus and rail fares would increase 20 percent, from $2.50 to $3, and the related monthly passes would increase from $100 to $120, or from $50 to $60 for students purchasing through business services. An extra $10 per month may not sound like a lot, but low-unit community college students are often working to support themselves or their families, or cannot afford to take multiple classes, and in those instances, every penny counts. For students with disabilities, who often or always have to use RT’s Paratransit service (which is not included in the UTP), the price difference will be much more dramatic. RT wants to increase the Paratransit one-way fare a corresponding 20 percent, from $5 to $6, but will also eliminate the Paratransit monthly pass, forcing all Paratransit users to pay full fare for each ride. If a Paratransit user took one full-price round trip per day at $12, one month of Paratransit service would cost them $360. The current monthly pass, which will be eliminated, costs $125. That is a staggering 288 percent increase in transportation costs for a student, or any Paratransit user. While it’s true that most Paratransit users do not use Paratransit exclusively, this means that these users must pay for a standard bus and rail pass in addition to necessary Paratransit trips. The number of students who will be greatly impacted by the fare changes may not be huge, but if there’s a possibility that even one student could be forced to drop out or suffer financially from these new prices, that student deserves to be advocated for. With RT struggling financially, it makes sense to raise fares – but refusing to include a discounted regular fare for Los Rios students, who accounted for 4.4 million rides on RT in 2014, is ridiculous. Every student should be able to afford to get to school, no matter their situation, and RT’s fare hikes are a danger to that ability. Be the first to comment on "Editorial: RT raising fares would target struggling students"